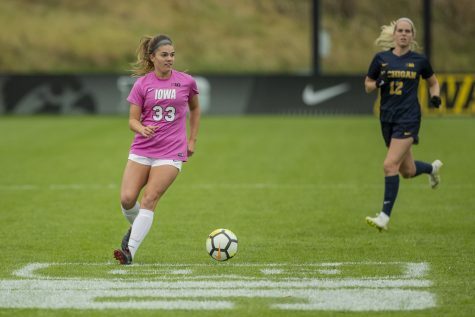 The red-shirt freshman has recovered from an injury and is ready to go. 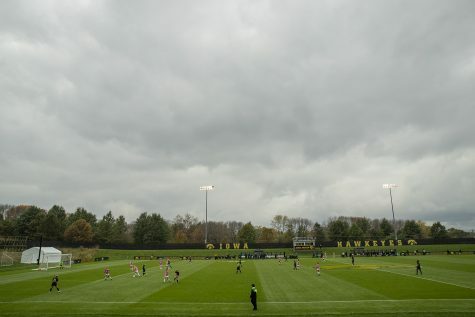 Throughout the 2014 season, Iowa soccer player Jenna Kentgen was itching to see game time. The issue was not about when the native of Naperville, Illinois, would be good enough to get in, but when her knee would be good enough. 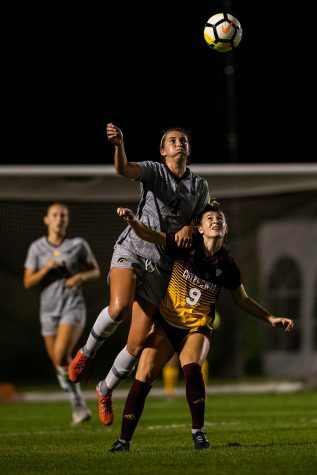 During her senior campaign at Metea Valley, Kentgen tore her ACL. It was just three months after then-head coach Ron Rainey announced she would be part of the 2014 recruiting class. Before the diagnosis, Kentgen’s first doctor thought the injury was a torn meniscus, which would have been les serious than a torn ACL. However, after an MRI and a second opinion, things looked a bit bleaker. 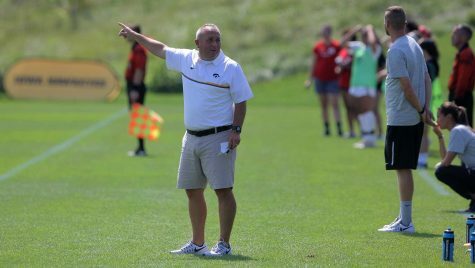 A full recovery from ACL surgery can take anywhere from six to nine months, but Iowa head coach Dave DiIanni felt it would be best to red-shirt her for the 2014 season in order to make sure she would be back at 100 percent. 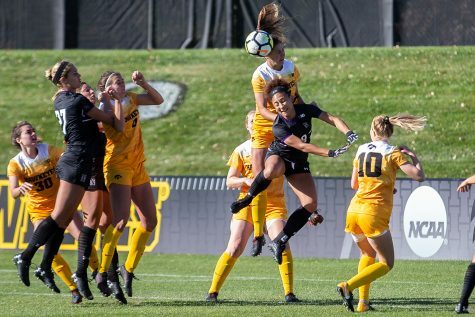 Sitting out was difficult for Kentgen, not only because she was unable to play but also because she had to watch some of her teammates go down with the same injury. She said it was “devastating” to see it happen, and it made her anxious to watch others play. After nearly a year of rehab, Kentgen finally got out on the field the summer after her red-shirt season. Kentgen has started all five matches so far in the 2015 season, and her coaches are impressed with her progress. 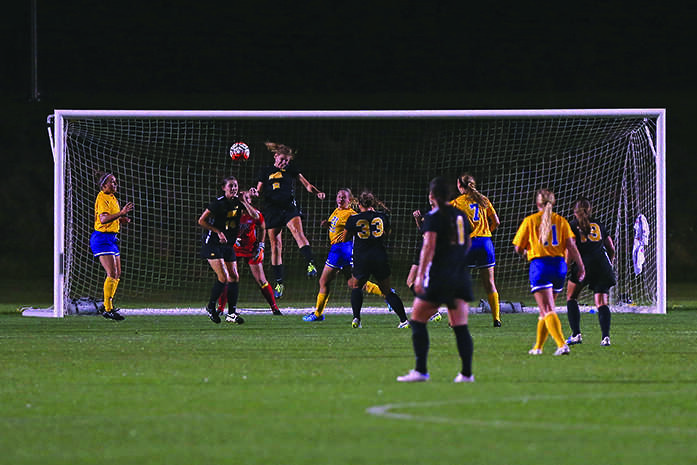 Kentgen scored in her second game of the season, a moment she won’t soon forget. Kentgen was not the only one who was happy with the goal. After the Aug. 23 match, teammate Corey Burns was glad to see the red-shirt freshman get the first one under her belt. 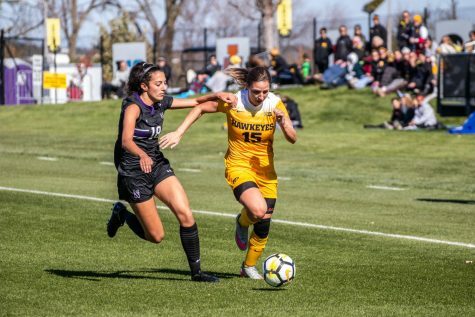 DiIanni, who is in his second year as Hawkeye head coach, has been pleased with the efforts Kentgen has made to help the team not only in her minutes spent on the field, but also off the field. 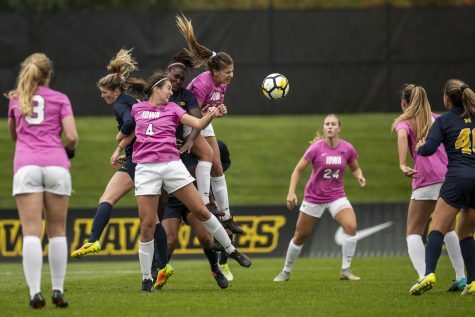 “Jenna grew up a lot last year because she couldn’t give us a role on the field physically,” he said. “She became a good student, she became more mature, she had to be more patient, because we really held her out. She has a real love for the game. 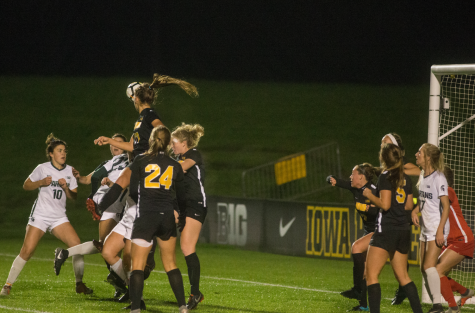 Follow @cbomb12 on Twitter for news, analysis, and updates on the Iowa soccer team.